Dr. Michelle Gould holds a Bachelor of Medicine, Bachelor of Surgery (MBBS) and is a Fellow of the Royal Australasian College of Physicians. She currently works as a general paediatrician. 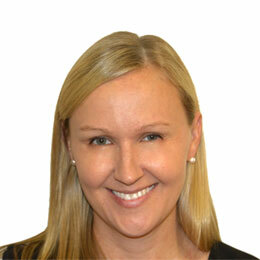 Dr. Gould completed her Paediatric Training at The Royal Children’s Hospital in Melbourne, after completing her medical degree at Monash University. Dr. Gould is interested in a wide variety of General Paediatric issues, including neonatal and infant health, asthma and eczema, constipation and encoperesis, ADHD and autism spectrum disorders, and developmental and behavioural paediatrics. Dr. Gould also does some Private Neonates work and outside of work enjoys spending time with her young family. To book an appointment with Dr. Michelle Gould please visit our Contact Us page or Request an Appointment.